what do you get when you combine the lightness of nylon with the impact resistance of carbon fiber? 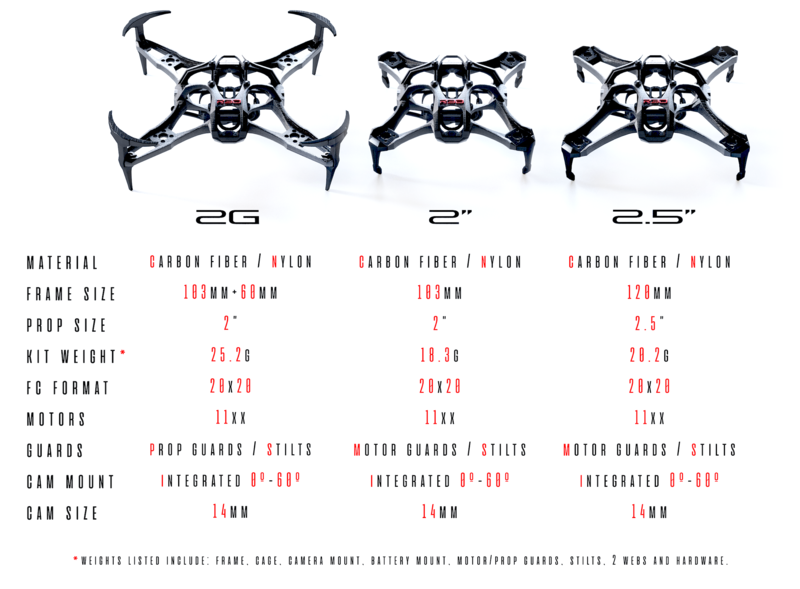 but more importantly, you'd get an awesome drone. one with the weightlessness you have yet to experience and the crash confidence that will keep you flying bravely. your 14mm micro cam of choice will find itself pretty comfortable in our custom designed camera mount. the integrated bay allows cam angle adjustments from 0˚-60˚ with options to shift forward and back according to the length of your preferred lens. a unique approach to mounting your batteries combining the flex of TPU with an adjustable locking mechanism to prevent those pesky battery ejections. offering a simple but effective mounting solution for your micro electronics, the web efficiently adds 20mmx20mm mounting holes to your precious components. it also serves as a great soft mount for your FC/ESC stack. your choice of frame determines your choice of guards. 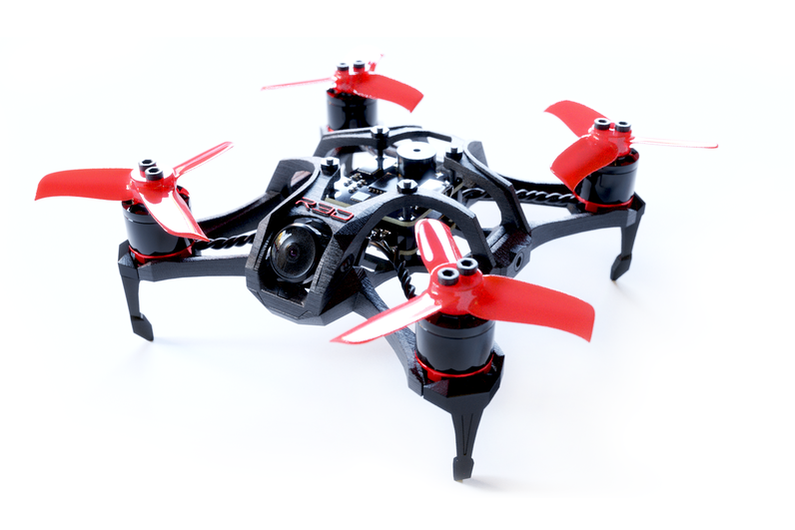 deflect indoor obstacles or ghost branches with the 2G model or simply crash proof and soft mount your motors when flying the 2 and 2.5 frames at top speed. Both versions of flexiguards include flexible stilts that provide the battery clearance needed to fly most batteries big and small.